Influencer marketing is growing at a rapid speed across the world and companies are spending less money on traditional marketing channels and more on influencer and online marketing. It’s a result of marketers adapting to new trends and trying to reach consumers where they can be found. People don’t really read magazines as much as they used to and every other home has signs on their mailboxes informing the mailman they don’t want ads. Consumers are avoiding traditional ads like the plague, and it is forcing marketers to be smart. Right now there are many different social media platforms and the number of influencers is constantly growing. This makes it easy to feel overwhelmed, and it can be tough to try and understand the industry. We’re often asked what platform is best for influencer marketing and what social media we think brands should focus on. But it’s a hard question to answer and the truth is that it very much depends. All platforms have their own benefits and weaknesses, and you need to evaluate the situation before making a decision. Today, there are several different platforms and new ones are launched regularly. So in order to keep things as simple as possible, we’ll only focus on the most relevant platforms that are popular around the globe. By using the following platforms, you will be able to easily reach your target group in a direct and natural way! Before you start working on your actual influencer marketing campaigns you need to figure a few things out. Firstly, you need to figure out what your target group looks like and why you are running the ads in the first place. It will be much easier to find the right platform if you have this basic information ready. So, the first step for you is to answer the following questions. After you’ve figured that out, you can continue reading about the different platforms and their users below. This will help you get an idea of what platforms to use for your campaigns based on users and purpose. Instagram is the largest platform in the world after Facebook, and the number of available influencers is incredible. Today, roughly 50% of all internet users have an Instagram account. 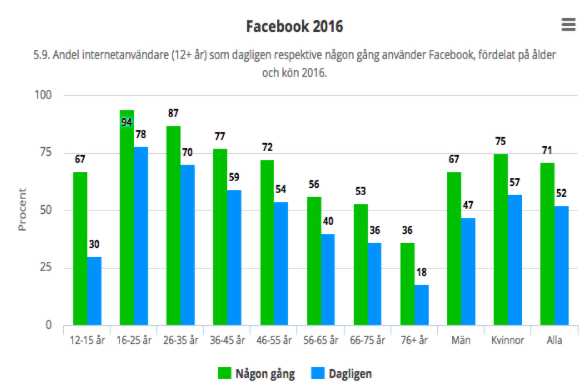 The age range is impressive and most users are between the age of 15 and 45 with a majority being women. There are many influencers in different industries, and they tend to have different followers. Because of this, you will have to find an influencer that attracts the kind of users you’re looking for. In order to do so, you need to study an influencer’s followers. Are the followers active and do they comment a lot? What type of content do they prefer? Are the users from different countries and do they comment in their own language? Also, look at the language the influencer uses. If you want to reach a specific region or nation, you want to find an influencer that uses the language on their profile. What kind of collaborations are best on Instagram? Thanks to its unique setup, Instagram is a great channel to use when you need to build brand awareness. New material is constantly showing when we scroll through our feed, and the pictures take up the entire screen which keeps us from being distracted by other features on the phone. Instagram is easy and subtle which makes people feel inspired to use it more often. Content that’s created for Instagram has to be easy to consume. With a high-quality picture and a well-written caption, you can reach your consumers in a very personal way that no other social media can. Making an impact on Instagram and engaging users isn’t as hard as on other platforms. We suggest you put your main focus on the picture and try to keep the caption a bit shorter. Instagram is not a platform for long and heavy messages. If you’re selling a complicated product that needs a lot of explaining you should probably use another platform. However, if your product is aesthetically pleasing and easy to understand you can quite effortlessly create a ‘love at first sight’ experience. Instagram is the best social media for branding and is a platform where you can create beautiful, product based content. Many use the Instagram app for inspiration and lately, pictures have become an important part of our life. This has resulted in many influencers being highly skilled at creating good-looking content that their users love. Therefore, we always recommend that you take a step back and let the influencer do what they do best! 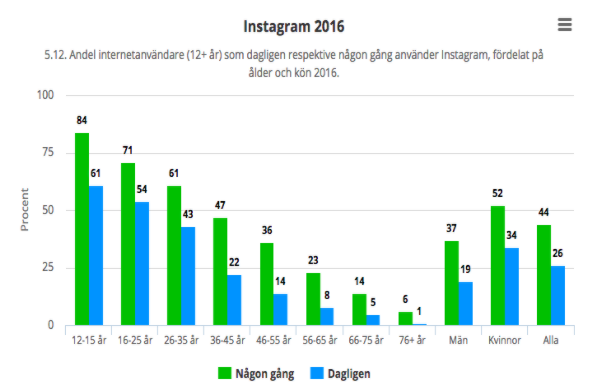 Also, compared to other platforms, the engagement is usually higher on Instagram. It’s never been as easy to like and comment as it is on this platform and Instagram has become a source for discussion between consumers and brands. For example, the high engagement can be used to create a wave of tagging and re-posts where users recommend your product to their followers and share your content with their friends in a competition like manner. Use the power and creativity that influencers have to build your own social media platforms! For companies and brands that have their own accounts on social media, influencers can be used to attract new followers and potential customers. A good tip is to start your own competition where users who want to participate have to follow your account. 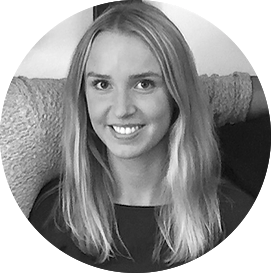 If you have an attractive product and a well-designed account you will be able to attract new users without much effort and don’t forget to use content from your collaborations. Make sure you have an agreement that you’re allowed to share the influencer's posts on your own accounts since the content is created for your target group. When Instagram launched Instagram Stories they opened the door to new possibilities and a lively type of content where influencers could share spontaneous parts of their everyday lives without editing and planning. Stories helped create a more personal bond between influencers and followers, and since the content disappears after 24 hours, followers are constantly on the lookout for new stuff to watch. Also, verified accounts that have a blue symbol next to their names can link directly from their stories and direct viewers directly to their website, landing page, or App Store. If you’re interested in knowing more, we suggest you try to find a verified account and see how the link in their stories works. “See More” means that you can swipe up and go straight to the link. One of the downsides with Instagram is that you can't link from regular posts. Instead, you’re limited to a single link in your bio - the profile. Unless, of course, you have a verified account and link in your stories. Because of this, influencers need to be clear about the fact that they have linked to a specific post in their bio when they put up paid ads. Generally speaking, the link in the bio system works well, however, some influences are reluctant to switch the link in their bio since it often leads to their personal blog, YouTube account, or e-commerce page, which you need to respect. So if it’s important for you to drive traffic to a specific site or a store you might want to look into other platforms and options where influencers are allowed to link more freely. Alternatively, you can look for other influencers that are more willing to cooperate. And don’t forget to make an agreement about how long the link will be up for before the campaign starts. Instagram offers the opportunity to reach a huge target group with users in their early teens to middle-aged moms and dads. In fact, Instagram has become so big that you can easily reach pretty much any market in the world. This creates a need for you to really figure out which group of users you want to reach so that you can find the right influencer. Remember that it’s better to use several smaller influencers that reach your target group directly than one large influencer that reaches people outside of your target group. Creative and beautiful pictures that inspire combined with short and simple texts is the best strategy. Therefore, we suggest you provide the influencers with a set of guidelines but then let them create content that their followers like and expect. Instagram is great to build brand awareness, produce beautiful content around your product, and increase engagement by initiating competitions. Keep it simple, beautiful, and inspiring! Complex products and advanced linking are better on other platforms. Snapchat is one of the fastest growing platforms on the market, but the target group tends to be younger than on all the other social media. 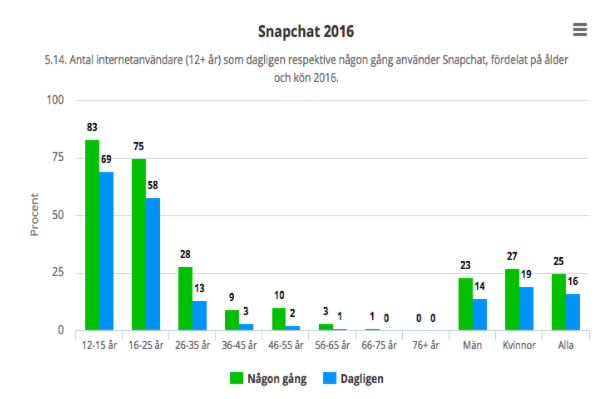 For example, 79% of people aged between 15 and 25 say they use Snapchat. If we look at the older generations, the numbers are much different, 28% of 26-25-year-olds use it and only 9% between ages 36-45. If you’re looking to reach a younger audience this platform is perfect for you and your influencer marketing. What type of collaborations do the best on Snapchat? Snapchat is an image and video app that has taken temporary content to the next level. Unlike Instagram, Snapchat focuses on what’s going on right now and 24 hours later the content is gone - there is something weirdly freeing with that concept! The app is loved by its users because it encourages more real, unedited, and personal content that let followers in “behind the scenes” in influencers lives. Content on Snapchat doesn’t have to be glamorous or prestigious since the idea is to be spontaneous and honest. Images show for 10 seconds and videos are time limited as well. Because of this, Snapchat is not great if you want to market complicated products. However, easier products are perfect to sell through Snapchat and a good strategy is to let the influencer use your product on screen. When it comes to brand awareness and attracting new followers to business accounts, Snapchat is perfect. Similar to Instagram, you can lean back and let the influencer do the work when you run campaigns on Snapchat. Remember that influencers know their followers best and that you can’t preview any of the posts - everything on Snapchat is done in the moment and posted directly on the influencer's story where followers can see it. The atmosphere on Snapchat is easy going and minor mistakes or nervous laughter can often add to the “realness” of a post. Once again, let the influencer do what they do best - create great content! The younger generations are spending less time on traditional TV, and more and more people are watching videos online. There is no doubt that YouTube leads when it comes to videos online and they happen to be one of the fastest growing platforms out there. A couple of years ago, YouTube was a platform where people shared silly videos and music videos, but today it’s a platform where influencer marketing is booming and some users have millions of subscribers and super high engagement. The general target group on YouTube is a bit younger but in recent months it has started growing more and more among older users. What is unique with YouTube is that many influencers speak in their first language on the platform which makes it a perfect platform for nation based marketing. Naturally, this is a bit harder in English speaking countries but by checking comments and checking followers, you can get a good idea of where followers are coming from. Also, YouTube is transparent with subscriber information and you can always email the influencer and ask for detailed information about their subscribers. What type of collaborations do well on YouTube? Unlike Instagram and Snapchat, YouTube is the perfect platform for complex products! Videos on YouTube tend to be at least a few minutes long and there is plenty of time to describe how a specific product works and for the influencer to go into details about their experience with your product. As a company, you can buy parts of a clip or a full video depending on your budget and what kind of information you want to share. There are also practical ways to link to your content with buttons and descriptions. Because of this, YouTube is perfect if you want to increase sales or downloads and build brand awareness. 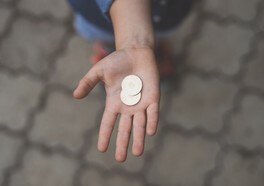 The price for a post on YouTube tends to be higher than on other channels, but videos also tend to have much higher engagement than other platforms due to the personal relationship influencers have with their followers. It’s also important that you don’t forget how much work goes into producing a video. 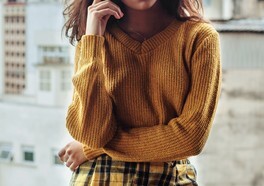 An influencer might have to write a script or an outline, find good lighting, set up the camera, film and do retakes, edit the video, export the video, and upload it. A YouTube influencer is kind of like a one-man production company and you will have to pay accordingly. That being said, an influencer is still much cheaper than an actual production company. Just imagine how much money you save in the end! Blogging started growing in the early 2000s, and in 2010 roughly half of the Swedish population said they regularly read blogs. Since then blog reading has stagnated a bit and in the last few years, that number has fallen to somewhere closer to 40%. 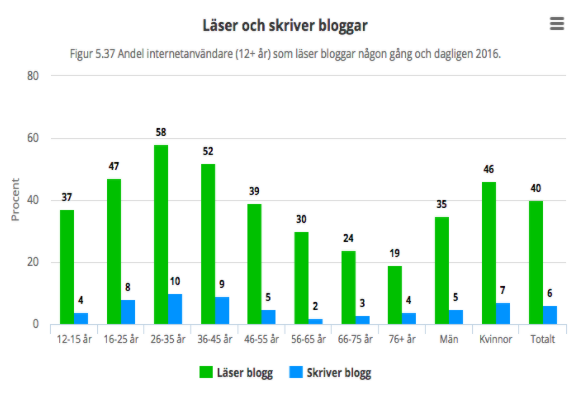 The age range is wide but most blog readers we find are between 16 and 55 years of age. In fact, blogs are one of those platforms where even older users are very active which is something you should keep in mind if your target group is 35 and upwards - a target group that is usually harder to reach. As with all platforms, you need to find an influencer that matches your brand and your products, and the best way to do so is by checking the comments. Many blogging portals provide information about users, and you can contact the influencer to get that information yourself. 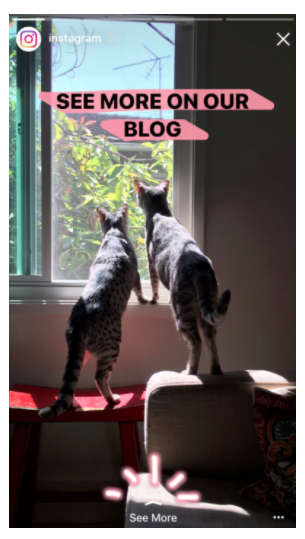 What type of collaboration should you use blogs for? Just like YouTube, blogs are perfect for more complicated products that require an explanation since you can describe the product in detail and use several images. Blogs are also a platform where links can be used in the most natural way and you can easily redirect readers to your pages without it looking spammy or affecting the reading experience. In other words, blogs are perfect if you want to drive traffic to a website or an online store! Due to the unique format of blogs which includes long texts and several pictures, bloggers often have a close and intimate relationship with their readers. Also, many bloggers have been working for many years building a large group of dedicated readers that are genuinely interested in following the blogger's life and thoughts. The result of this relationship is an incredible influence that provides excellent results for influencer marketing campaigns. Obviously, a blog can also be used to increase SEO rankings by providing backlinks. You see when a blogger links to your website from their blog you get a better ranking from Google which helps you show up in Google search results when people search for related topics. This then leads to you getting more organic search traffic which is one of the most valuable sources of traffic there is. The higher SEO ranking the blogger that links to your site has the more your own ranking will be affected. Facebook is the biggest social media platform in the world and nearly 70% of all global internet users say they use Facebook. Because of this, the target group is large and varied and you have the potential of reaching people from both genders and all ages. In fact, Facebook is one of the better platforms for companies trying to reach an older target group - especially consumers that are 35 years of age or older. What type of collaborations are best on Facebook? Even though the target group on Facebook is huge, Facebook isn’t considered one of the hottest platforms for influencer marketing. That being said, most influencers share their content on Facebook, but they rarely create content that’s only for Facebook. For example, bloggers always share their blog posts on Facebook which usually helps to drive traffic. And it’s not uncommon for bloggers to sponsor their posts to reach as many users as possible and reach high CTR and CPC levels. Yes, Facebook can easily be used to link directly to an online store or website and it is considered a good source of traffic. And yes, you can create competitions and get users to invite their friends on Facebook both with and without sponsoring. However, using links on Facebook limits the organic reach compared to a post without a link. The reason for this is that the Facebook algorithm “punishes” posts that link away from Facebook since the platform wants to keep users and not lose them. This becomes extra clear when you compare the reach of two separate posts on Facebook - one with a link and one without. The post without a link will always have a bigger reach, and this is something we’ve gotten confirmed by several influencers that we closely work with. Today, many Facebook users feel like a big part of their feed is dedicated to ads and sponsored posts, and in order for you to break through that misconception, you need to create content that feels personal and genuine to the user. An experienced influencer that knows their followers well usually knows exactly how to make that happen. If you compare a company’s sponsored post on Facebook to an influencer's post that is shared by the same company, the results are usually very different and the influencer's posts tend to do a lot better. Our point is that you should try to let an influencer speak for you by using content that they know their followers will like. This is the best way to build credibility and market a product in a genuine and believable way. Of course, there are many exceptions to the examples that we’ve provided above but generally speaking, a younger target group is most easily reached through YouTube, Snapchat, and Instagram, while an older target group can be reached through blogs and Facebook. However, lately, Instagram has gotten better for older users as well especially when it comes to interior design, food, and celebrities. Moreover, simple and beautiful products that are easy to understand do best on Instagram along with building a community and Snapchat does best when content is limited. On the other hand, more complicated products that require descriptions are better for blogs and YouTube. Every platform has its benefits and issues, and the important thing for you and your company is to figure out your target group and then choose the platform based on that. Don’t forget that research and “the best platform” only gets you so far. In the end, you will have to try different strategies and use different content to see what works the best for your company. It’s important that you’re not scared of trying new things and that you’re ready to adapt in order to stay ahead of your competition. The only thing we know for sure is that social media is here to stay and so are influencers whose influence gets bigger and bigger by the day. Be smart, look for opportunities, and try to take advantage of this fast-growing industry right now. Do you have questions or do you want to brainstorm some ideas on how you can maximize your influencer marketing? Then contact us at team@beatly.com.